Jeanette Kawas was murdered on 6 February 1995. Kawas opposed planting oil palm in protected areas and illegal logging. She is known as the first environmental martyr of Honduras. Jeanette Kawas was an environmentalist. 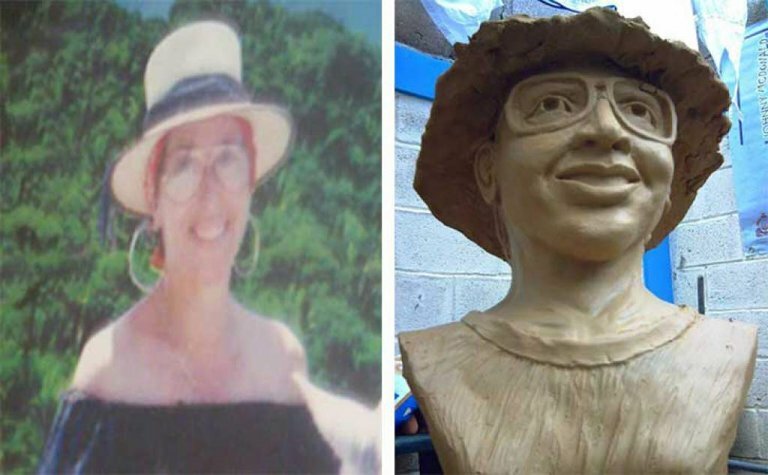 A national park in Honduras is named after her. The park was originally named Punta Sal National Park, but the name was changed to Jeanette Kawas National Park in honour of Jeanette Kawas, an environmental activist and PROLANSATE president who was murdered on February 6, 1995 for her work trying to keep the palm plantations out of the park. The park is included in the Ramsar Convention List of Wetlands of International Importance and was designated as such on March 28, 1995. Jeannette Kawas was an accountant by training but her concept of value was broader than any balance sheet. Probably no number could capture for her the natural wealth she saw in the forests, rivers, beaches and mangrove swamps of Punta Sal, near her hometown of Tela in northern Honduras. In the 1980s, cattle ranchers, resort developers and loggers all wanted a slice of this landscape. As their hunger grew, Kawas formed an environmental organization, PROLANSATE, to protect the land, and in 1994, it convinced the government to allow it to create and manage a new national park there. The Inter-American Court of Human Rights said Kawas’s work in defense of the environment had motivated the murder. Kawas was a victim of a largely unreported war that still rages around the world two decades later. Its casualties are women and men who through peaceful acts work to defend their local environment from polluters and miners, land grabbers and loggers. In the past decade, close to 1,000 such activists in 35 countries were murdered, according to a report published in April 2014 by Global Witness. According to the 2009 ruling of the CIDH (Inter-American Court of Human Rights) on February 6, 1995, at approximately 7:30 p.m., Blanca Jeannette Kawas-Fernández was shot and murdered while she was inside her home. The Commission indicated that, at the time of her death, Mrs. Kawas-Fernández was President of the Fundación para la Protección de Lancetilla, Punta Sal, Punta Izopo y Texiguat (PROLANSATE), an organization created in order “to improve the quality of life of the people who live within the watersheds of the Bahía de Tela [Department of Atlántida, Honduras],” and that, in this capacity, “she had denounced, among other matters, the attempts by private individuals and entities to illegally appropriate Punta Sal, as well as the contamination of the lakes and the depredation of the forests of the region.” The court asserted that the State has direct responsibility in the deprivation of the life of the victim. The State authorities did not adopt with due diligence all the necessary measures to conduct an investigation that would achieve a concrete outcome. Some 1,500 indigenous Garifuna people live within the park's boundaries and make their living by small-scale fishing as commercial fishing is banned. Around 20,000 more people live in areas surrounding the park. Despite the park being protected it continues to face threats from deforestation for fuelwood use, overfishing, upstream activisites such as sugar refineries and palm-oil factories and fish farms whose wastes flow directly into the park. The expansion of cattle ranching, poaching and and squatting towards the center of the park is another current major threat PROLANSATE is facing. ------------------Updated 22/08/2017---------------------------- At the end of March 2016, a raging fire devoured 219 hectares of Kawas Park. The fire lasted five days . Authorities found fuel, "machetes" and freshly oil palm planted. This was planted about five months ago. Someone wanted to continue planting inside the Kawas and decided to set the forest on fire. The president promised to capture the culprits, but a year later they has not been found. 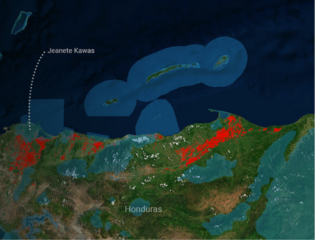 No one knows who caused the fire, but all Honduras knew they wanted to plant oil palm..
Project Details There were attempts to take timber from the area and also to start oil palm plantations. The zone is now a natural Park and Ramsar site named after Jeannete Kawas. A mill processes thousands of hectares of oil palm planted inside and outside the protected area. Why? Explain briefly. La Fundación para la Protección de Lancetilla, Punta Sal y Texiguat PROLANSATE, was born in 1990, from a group of people from Tela, members of the Asociación Hondureña de Ecología (AHE); Jeannette Kawas and Andrew Stoll took the initiative. At the cost of her life, the destruction of the site was stopped, it is now a National Park and Ramsar site. Documentary, "Los árboles mueren de pie"